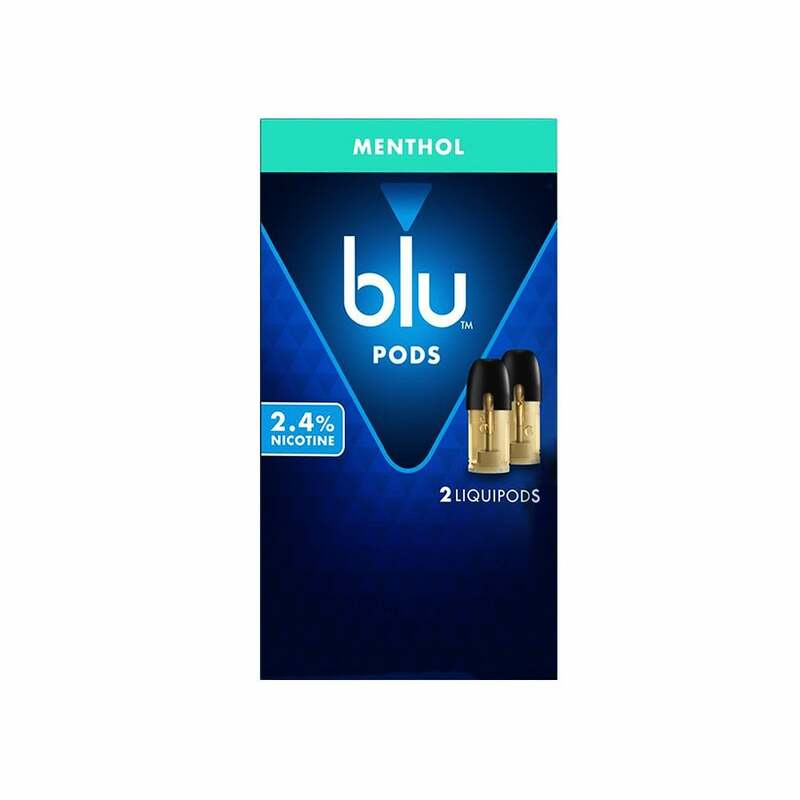 myblu™ Magnificent Menthol Liquidpods truly live up to their name. An ice-cold vape with a touch of sweet spearmint and peppermint for depth, Magnificent Menthol is a fantastic choice for menthol and mint lovers looking for all-day refreshment. Absolutely horrible. Tastes like feet. Never buying this flavor again. The flavor is too strong for my taste. Not their best mint flavor, but still a decent menthol! Great product at an outstanding place to do business with! I buy all of my Vaping needs from Electric Tobacconist! This comes closest in taste and throat hit I like if the vuse vibe. Kinda small. Will they ever offer vuse vibe again? The magnificent menthol flavor is great. Just enough menthol and doesn’t taste like a breath mint. The pods never leak, the entire kit is sleek and modern. I am beyond satisfied!! I like the flavor but the pods do leak. Excellent draw. Decent flavor. Charges quickly. LOved the $1 special Blu ran for their battery. Electric Tobacconist is always a pleasure. Fast shipping. No hassles. Five stars if the pods lasted me all day. They last as long or more than competitors but a couple more hours would do it for me. I also don't care for any of the My Blu Menthol pods. They're not even close to the Von Erl Tabak Menthol that really offered an authentic menthol hit. Was like smoking a Kools. If My Blu duplicates the Tabak Menthol recipe, alot of us folks will be customers for life. Also pls offer them in 9 Mg & 18 Mg as Von Erl did. The Menthol pods are great. They last a long time and taste great. Easy to use and priced lower then most others. I love them. Great of your looking for a clove flavor. Not really menthol. I hate this flavor! Nothing like the my Von Erl menthol pod was before.